I just got the new issue of Fixe in the post. It looks really good and I’m happy to hear that Laura Manganaro has joined the Fixe gang. Laura’s in NYC at the moment most probably leaving a trail of destruction and broken hearts. The few times we’ve hung out have been epic; I only wish she lived in London! Anyway, here is my pic in Fixe, part of a feature on photographer Brenton Salo. 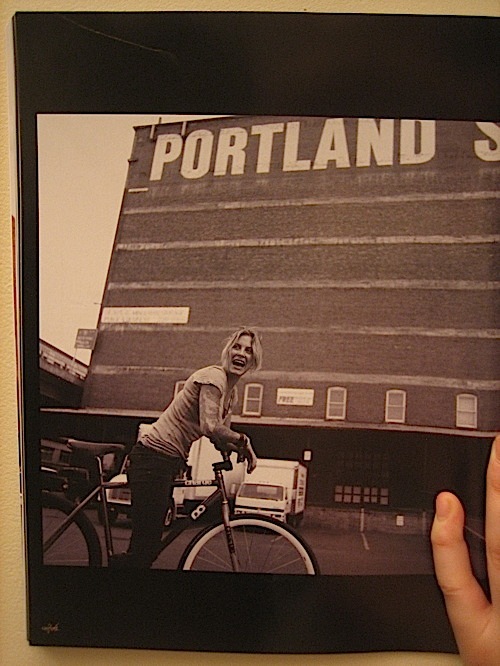 He took this when I was in Portland at the end of last year. I had a really good time during my travels in the States and its looking like I will be back over there in July so I’m looking forward to catching up with the friends I made last time as well as making some new acquaintances and exploring some new cities. I’m definitely gonna be in NYC at some point in July and I just have to work out whether to go there before the West coast or after! you should go to the east first and spend little time there and then head west and spend most of your time in the WEST COAST. do the east coast first and save the best for last. the best being the WEST COAST.